According to an article from the Associated Press, several Federal Reserve officials explained that Chairman Ben Bernanke supports the nation’s central banking system’s efforts to stimulate the economy if unemployment doesn’t decrease. The Feds made a decision to purchase $40 billion a month in mortgage bonds, its third round of bond buying. The effort is to make home buying more affordable as it pushes long-term interest rates down. Atlanta Federal Reserve Bank President Dennis Lockhart assured that the current round of bond purchases would continue until the job market improves. “If we do not see improvement, more action may be taken,” he said. The decision to launch a new stimulative program was made by an 11-1 vote. 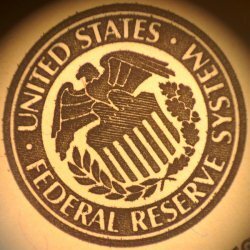 Jeffrey Lacker, president of the Richmond Fed, voted against the initiative believing the Fed’s actions will lead to higher inflation in the future. Lacker also argued that it wasn’t likely the bank’s moves would boost growth. To help combat the nation’s high unemployment rate, the Fed said it planned on keeping short-term interest rates at record lows at least through mid-2015.